The Apple iPad. It is the device that has acted as the paradigm for an entirely new genre of technology. However, it is a relatively large investment. It is also an investment that, given Apple’s recent trends, will be deemed “outdated” in about a year or so. That being said, if you’re ready to dive into the tablet world, there are some things you must know about an iPad before purchasing. What Does an iPad Do Well? Simply put, Apple made the bold statement that the tablet would replace PCs within a matter of years. Whether or not that will happen is yet to be seen, but you can bet that the iPad has undeniable benefits when statements like that are being thrown around. 1. 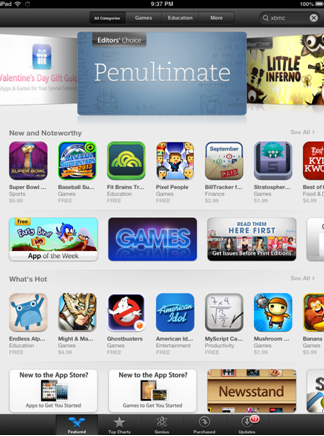 Apple’s App Store: The App Store is undeniably the most attractive feature of an iDevice. As of 2012, there were over 1 million approved applications on the App Store. There literally is “an app for that”: some are pointless, some are mind-numbing, but many have implanted themselves into our lives as must-haves. 2. The iPad will become your go-to entertainment device: Perhaps more than any single thing, the iPad has revolutionized the entertainment industry. 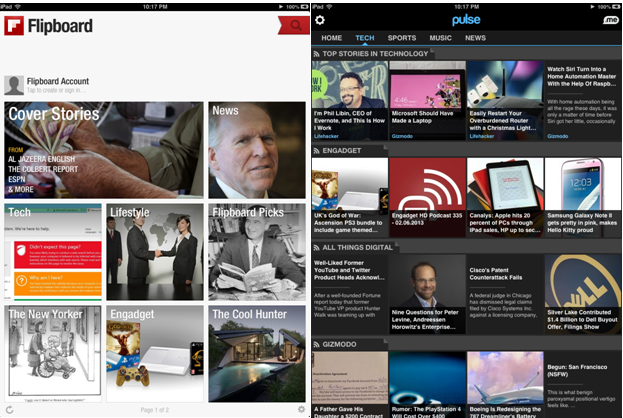 Through the aforementioned App Store, the iPad has changed the way we manage media. Take television for example. Through the iPad (and other tablet devices for that matter), cable companies and television networks are being forced to rethink the way they distribute their media. The monopoly that cable was running is, for all intents and purposes, over. Applications such as Netflix, Amazon Instant Video, and Hulu all had humble beginnings as Internet streaming services. This was nice, but it required you to sit at your desktop or lug your laptop around in order to watch your favorite programming. With the iPad, however, your programming is truly portable. Sure, you could have used your phone or iPod, but who really wants to watch an episode of The Walking Dead on a 3.5” screen? 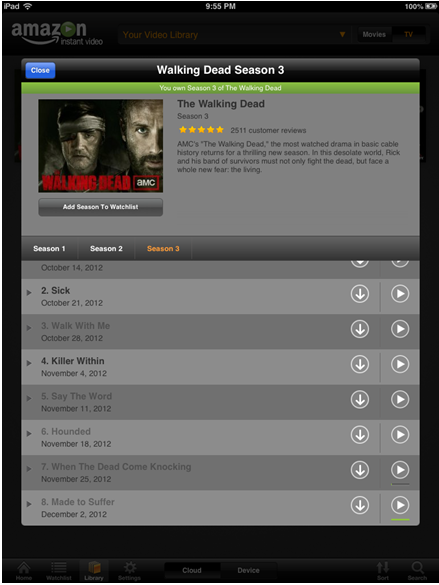 Now, every Sunday, a new episode of The Walking Dead is purchased through Amazon and instantly available on my iPad. I have the perfect, portable solution to getting my zombie fix every week (commercial free!). It doesn’t end with television and movies. 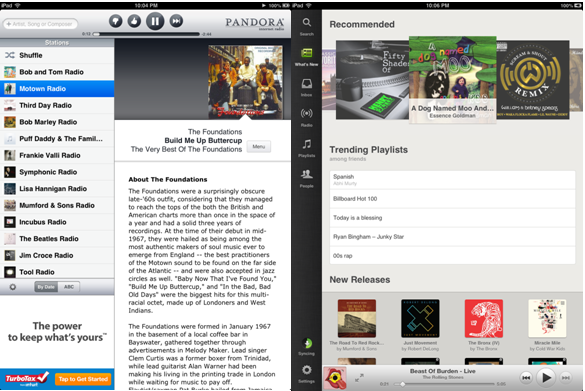 Music apps such as Pandora, iHeartRadio, and Spotify turn your iPad into a portable music library. Also, your iTunes library is available on your iPad. However, if you have a massive library you may not want to eat up all of your available memory with Black Keys and Beatles albums. However, Apple offers iTunes Match ($25 annually) that stores your library in the cloud. Everything you own will be able to download onto your device on an at-need basis. Your iPad also serves as a great e-reading device. If you have a Kindle or Nook account, you can download their apps to access all of your e-books on your iPad. Many popular publications also offer their papers or magazines on the iPad. There are a couple of apps (Pulse and Flipboard to name a couple) that put your favorite news sites, publications, and blogs in a one-stop format. 3. The iPad will become your favorite way to browse the Internet: I mean why not? It’s just so dang portable. You can sit it in your lap, enjoy it easily in bed, and easily access it in a car. It has enough battery life to last you most of the day. Most sites offer mobile versions so that annoying Flash snafu is nearly a moot point. What Doesn’t an iPad Do Well? 1. 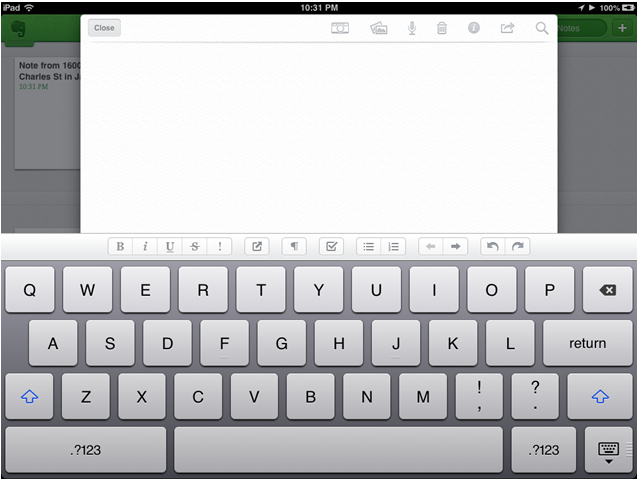 Multitask: For whatever reason, Apple’s most portable device is also its most annoying. Want to write a quick note while streaming a Broncos game? Too bad. Want to do research by leaving your source window open while typing in Pages? Nope. I’m sure Apple has its reasons for this, but none of them are good enough for me. It is simply too large of an oversight. 2. Replace your PC or laptop: This just isn’t happening. It is an amazing tool that can no doubt help supplement whatever technology you already own. An iPad is very helpful when giving a presentation. It is unbelievably cumbersome when trying to create one, due largely, as mentioned above, to its inability to multitask. Also, a cramped, touch-screen keyboard works fine when commenting on a friends photo on Facebook, but it is not a pleasant experience when writing a paper. Do you need to make a quick edit to an Excel spreadsheet? The keyboard will serve just fine. However, if you are attempting to create an entire database, you are a braver soul than I. CONCLUSION: The iPad has already left its mark on the computing industry and it is undeniably here to stay. The pros of owning a device definitely outweigh the cons, but only as a supplemental tool. If you are looking to replace a work computer or laptop, an iPad is not for you…yet. As technology advances, and the applications that are sure to follow, the iPad may very well surpass the notebook.